After a little online research I bought a few of these Command Picture Hanging Strips . I was a little skeptical because some of the frames are quite heavy but it had good reviews online so I took the chance. I have to say, I am in love with them. They are amazing, so strong and they come off without a trace. Where were these when I was a college student? Our artwork has been up for a few months now and nothing has fallen to the ground although 1-2 of the tabs have come loose. The times it has failed it seems that it hadn’t been adhered firmly to the wall. We adjusted the tabs and it hasn’t been a problem. Have you ever used these? I am excited to use them for hanging party decor! Really?! I don’t believe it! I’ll have to try it myself. If they don’t damage the wall and they actually stay put I’m all for it. Any fear of what would happen to them during an earthquake? I have been using these since I went off to college ten years ago (I have family members that work for 3M so we got the early scoop on them). They are a life-saver if you don’t want to put nails in your wall. 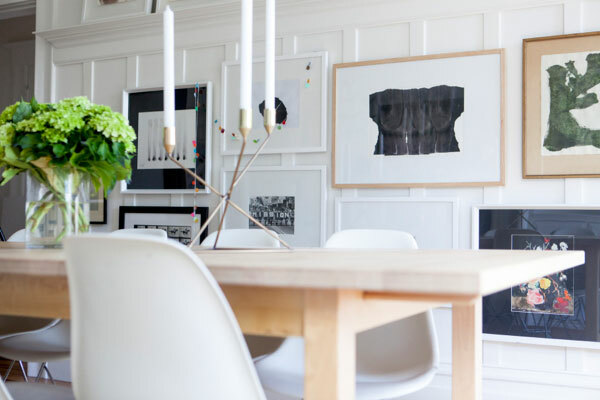 And like you say, they are really well-suited to gallery walls because you can change things out quickly and easily without marking up the wall with holes! That’s great, especially if you’re renting! I need to find some of those here. 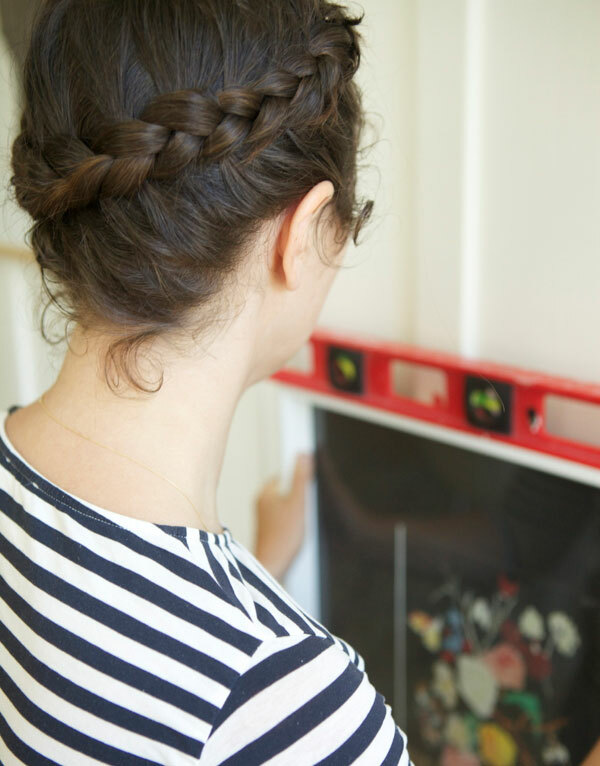 FABULOUS post – perfect for renters and dorm-dwellers! I’ve been using these to hang art for 8 years! (Manhattan apartments!) I have never had anything fall (some frames and canvases have been hanging for 6 years w/ no problem). There are SO many different styles of these command hook products, I can find one for every single piece! They cost more than Ook hooks, but do NO damage. Can’t promote these enough. I’m using them in my office! They work great! Ditto Manhattan apartments (with impenetrable concrete walls). I have art, some of it pretty heavy, that’s been hanging on the same 3M strips for five years. 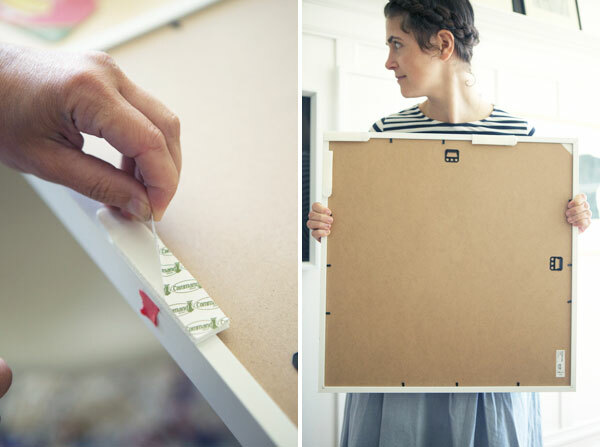 I love the velcro-type you are using and the picture hanging ones with little hooks. All amazing! I use these strips all the time as I am always renting and don’t want to put a million holes in the walls. They work really well for heavier hangings, even. I’m always impressed and have only had trouble taking them off a couple times. I love command strips. I had a landlord years ago that was completely & utterly skeptical & I had to actually take one off the wall and show him it was gonna be okay. They can get a little pricey when you need a lot of them, but they are heaven. I recently used them to hang a key rack, that I made, near our front door. It holds a LOT of heavy key chains and the 3M strips have held up to the weight amazing. The best part was that they allowed me to mount the wood strip flush to the wall without it moving around like it would if it had been on nails or some kind of hook. I was afraid I was going to have to drill holes through my cute new rack to mount it flush so I was thrilled to at how fantastically the 3M strips worked. So glad to know they’ve worked so well for your gallery wall. That’s a lot of saved nail holes! Been using these for years! So great! They can be a bit pricey if you need a lot of the really big ones for large frames (which they do great with!) A nail would be cheaper, but for not holes or patching up later, it’s worth it. Note of caution, don’t be lazy, like I was once, and pull them straight off the wall or else they will take the paint off. Pull them they way they are intended to be taken off, and you’ll be much happier! I’ve since moved to a new city. Anyone in humid climates, does this hold up for you? And anyone with wallpaper walls, does it hold up for you? Yes love them! We get them when they are in sale. Warning though – as per Charlene’s comment, you have to be very careful to remove them the right way or they will take off paint (and they can’t be re-used). Be extra careful with the tiny clear hooks (that we use for hanging decorations and fairy lights). I really want to know how you did your braid!!?? Dont they get the paint off the walls? Jay, did you follow the directions exactly? I had a similar experience with my first go round. You really do need to follow each and every step to the letter. Give the strips plenty of time to cure on the wall and on the frame before you actually hang them (at least an hour is good). I saw on Instagram I think it was that you said you had used them and I was really excited to try them. Low and behold, I found some the very next day at Big Lots for a great price. Although where I was planning to use it was over my bed and they say not to use them over beds. I’m still trying to decide if I could, or if I shouldn’t risk it. I can always use them other places too. 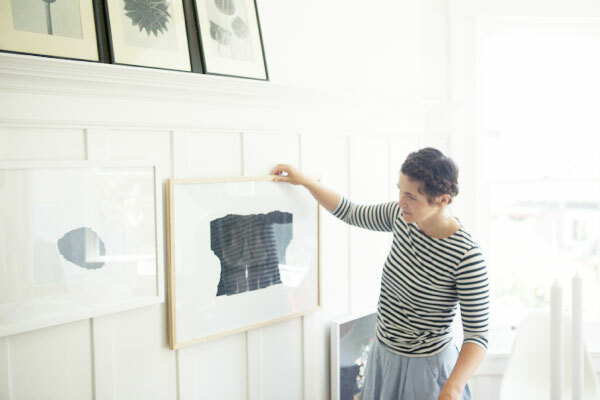 I love your gallery wall! Yes! I’m obsessed with these, and have used them for years. So wonderful and only one has ever taken some paint off when I took it off the wall. 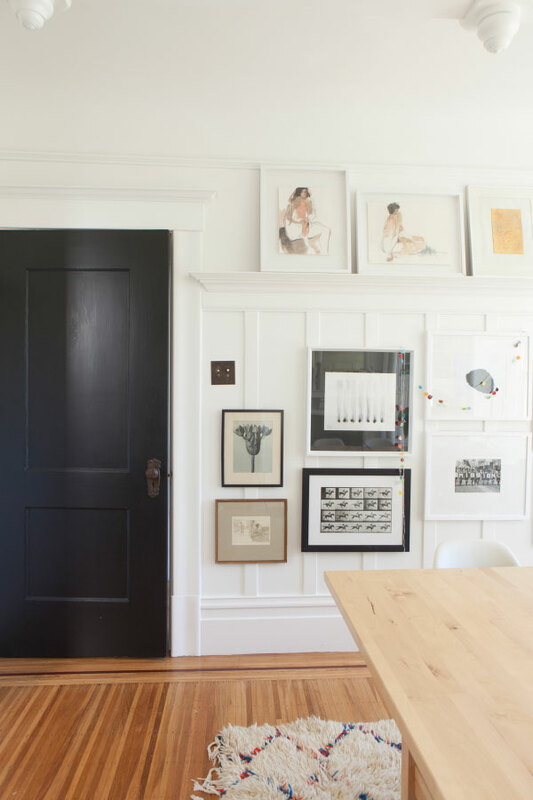 They just make it so easy to have amazing gallery walls. That rug! Swooning. Would you share where it’s from? I adore the picture hanging strips! I’ve been using them for several year and have been trying to convert all my friends and family. I wish I had used them on my own gallery wall 4 years ago, but unfortunately I didn’t learn about them until after. They work great! We’ve used them to hang picture collages around our home and not one has fallen down (fingers crossed) in almost 2 years. I just picked up a pack of the velcro style and one of the picture hook packs at Target this weekend. We have plaster over brick masonry exterior walls and I’m really hesitant to put holes in those walls. In my experience nails and screws pull out easily from masonry and leave big gaping holes. I’m hoping to get some frames hung on the many empty walls this weekend. I”m curious about how they’ll work on painted wallpaper. I just hung anaglypta wallpaper in the bedroom and painted it. We have a picture rail, but I think the wires might be a bit much for some of the smaller frames and I’m terrified that I’ll ruin my wallpaper. In college, I used the picture rail to hang things in my first dorm, and actual velcro to hang things from the brick walls in another building. I love these! Though, I think humidity can affect them some. In college my roommate and I always had trouble getting items close to the window to stay put while everything further away from the windows stayed just fine. They are still amazing, though! Hi there! I’ve been using these for a couple of years now and love them (not the price though, they’re expensive here)! I live in Auckland New Zealand and weather changes so many times in a day. I noticed that a few of my strips have come off though & I think it’s due to the constant change in weather conditions. It just means I have to replace a few every now and then. I still love them and would continue using them. these are what i’ve been using because i hate poking holes on the walls. ours have been up for YEARS and haven’t come down. though i have put extra ones on our heavier frames just to make sure. i have had issues on one of our walls though, but i think it has more to do with the paint that the strips themselves. These could be a great solution! Love this! This is why I started my Etsy shop, Print (Em), to design paper frames that would work in spaces where you can’t damage/paint/do anything to the walls. I used the one with “feet” It’s like plastic velcro. When I move, I just discard the ones on the wall and leave the other one on the frames They’re awesome! This is great!! !we’ve just moved houses and the new landlord wasn’t very happy about hanging stuff on the walls… This will be great for out family photo wall!!! Thanks for sharing! !